Even modest estimates have suggested that we are exposed to more than 700,000 different toxic chemicals on a daily basis, and this doesn’t include the crazy poisons that GMO companies are pumping into the food supply. According to GlobalHealingCenter, it isn’t abnormal to be exposed to 2,100,000 toxins each and every day. 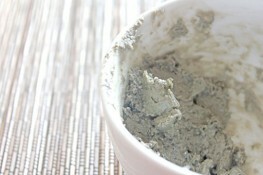 Bentonite clay is a powerful way to remove some of that toxicity. If we don’t take a proactive stance on removing the industrial emissions, pesticides, fertilizers, medications, oil spill toxins, plastic toxins, and wastes of war like uranium and radiation from our bodies, let alone the environment, then we will experience poor health at the very least, and in worse cases, our utter demise. ‘Healing clay’ is so effective, that women in aboriginal tribes used to eat it in order to cleanse their systems and support the growth of their babies in utero. Clay balances the systems of the body with an alkaline pH and its electromagnetic charge that stimulates and revitalizes latent cell energy. Bentonite clays are one of the few that have the ability to both absorb and adsorb well. A common form of calcium Bentonite clay is Montmorillonite, named for its discovery place in a small town in France, but it can be found all over the world – from Death Valley in California to India, and Turkey. Bentonite clays contain primarily hydrated aluminum silicate as well as minerals like calcium, potassium, sulfur, magnesium, zinc, etc. as well as a very beneficial combination of sand and silt and other trace minerals that help to draw toxins from the body. The clay’s total mineral makeup varies slightly depending on the geographic location from which it is sourced. Much of Bentonite clay’s effectiveness is derived from its negative ionic charge, which pulls positively charged particles from the body via the bloodstream and then eliminates them via the kidneys and bowels. Heavy metals, pesticides, harmful bacteria, etc. all have a positive charge, and essentially get hovered up by the calcium bentonite clay. And remember, there are many ways to cleanse your body of various toxins. Try using activate charcoal to cleanse your body, and be sure to implement these 7 methods for detoxification. I have liquid bentonite clay. How much should I use? how does it get into the blood stream? I mean, this stuff isn’t absorbed– right? yes, anything with aluminum even the crystal used as deodorant. I get mine from Elliots Natural Foods. I use it for everything. It makes an awesome mask and creates a pulsating effect when drying. It's great on neutralizing all staph and fungal infections. It's basically volcanic ash and when analyzed for the contents it's every type of mineral to the 300%….Pulverized Inner Earth. you should never mix anything w/ clay. just pure water. One teaspoon per 8 oz clean, filtered water. Otherwise the clay is cleaning up the water and you want it to clean up the pathogens in you. I mix mine in a large container of water, dump in one teaspoon for each cup … do not stir….let it sit on top of the water until it drops .. then you can stir. It should sit for a while. I store mine in the refridgerator and drink one cup either a.m. or p.m. or both if I'm fighting something. It has made my allergies a lot better. It has cured my diverticulitis… and I have x-rays to prove it. I order mine from http://www.redmondclay.com lots of info there on how to use it. It is very powerful. It draws toxins to itself (7x the size of the clay molecule). It has a positive charge and draws the negative charge pathogens to itself and is passed out of the body. God to that site and read up. I have an adult daughter with Lupus I believe this could be the key to helping her. Would the aluminum silicate be a concern building up in relation to Alzheimer's? Would consuming clay cause kidney stones? are you talking about eating it? i've heard this called Pika. or are you talking about making a mask? if you eat it, how much is a safe amount? I think I missed something. How do I make it? Where do I get the ingredients? I agree. How do we use it? How much? We need more details please!!!!! I have purchased Bentonite Clay at health food stores in the spice section. I have used it externally on wounds I was excited to read today's article about taking it internally to detox. I would guess you could easily order on line. For people that do not know….there are two types of Bentonite clay and they come in powder form. One is food grade and one is not. If you are going to use it internally MAKE SURE you are getting the one that is food grade! are you talking about diatomaceous earth, by any chance? Drink plenty of water before, during and after detox bath. Especially after.